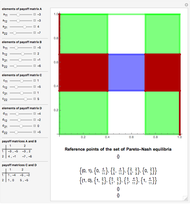 Consider a dyadic two-criteria Pareto–Nash game in mixed strategies. 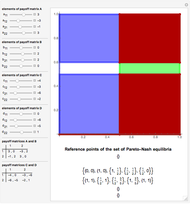 Player 1 (blue graph) has two payoff matrices and . 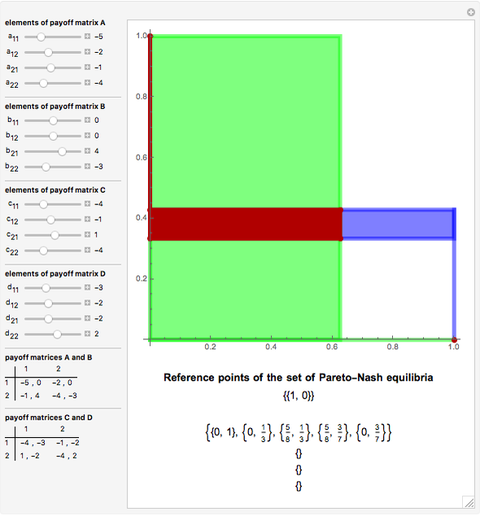 Player 2 (green graph) also has two payoff matrices, and . 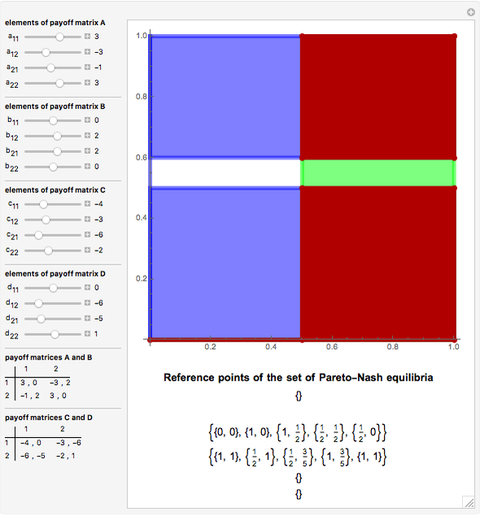 The set of Pareto–Nash equilibria (red) is determined as the intersection of the graphs of Pareto response mapping of the players. V. Lozan and V. Ungureanu, "Sets of Pareto–Nash–Stackelberg Equilibria in Strategic Games," in ISCOPAM 2010, Romania: Alexandru Ioan Cuza University, 2011 pp. 113–124. V. Ungureanu and V. Lozan, "Pareto–Nash Equilibrium Principles," Studia Univeritatis, 27, 2009 pp. 52–56. 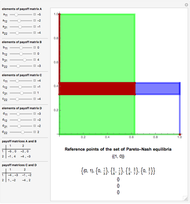 Valeriu Ungureanu "Pareto–Nash Equilibria in Bicriterial Dyadic Games with Mixed Strategies"